I have put together the following series of short videos to give you a better understanding of what to expect as a new patient coming into our clinic for the first time. Hopefully the videos will be able to answer certain questions you have about our approach to treatment and patient visits. Today and over the next few weeks, we are going to learn what happens on your first few visits at Life Chiropractic Centre. back to the time you were born. You will understand why this is important as you learn more about chiropractic care and your posture system. in our office on your first visit. will get your free posture scan. She will also get a few details about your immediate health concerns, if you have any. can ask some questions of me. This is where we really want to find out if we are a good fit to work together. And on our next video I will explain what is involved with a chiropractic, neurological and postural examination. Today you are going to learn about your very first examination here at Life Chiropractic Centre which takes place on the same day and right after your free initial consultation provided you and I both agree that you would like to proceed with an exam. My examination consists of 3 parts. The first part is the chiropractic part, the second is the neurological part and the third is the postural part. The chiropractic part is where I will check every vertebrae in your spine with my hands to determine which ones are misaligned or subluxated. Our focus here is subluxation. Remember that a subluxation is an incomplete or partial dislocation of a vertebra. We all have them. And subluxations are what cause postural distortions in your spine and they will also compress on your spinal nerves and spinal cord which can cause you a whole bunch of health problems. I will also check your spinal flexibility to see if your range of motion is acceptable. The neurological part is where I will check the strength in some of your muscles, check some of your cranial nerves which are the nerves inside your head, see how well you can feel things, check your reflexes and do some coordination tests. There is nothing invasive here. The third part which is all about posture is where I will follow up with any concerns I have identified on your free posture scan. The first examination will differ a little from person to person. Everyone brings a different set of circumstances to the table. And the first examination will differ for newborns and again for infants and yet again for young children. Also, you will never have to dis-robe at any time in our office. This examination is going to give me vital information about your posture system, any potential health concerns that you should know about and will help me determine my best recommendations for your chiropractic care plan. So what is next after your first examination? Please watch the next video to find out. Video 3 – Are X-rays Really Necessary? Once you have completed your very first examination with me, your next step would be to get a set of spinal xrays done. Now, on occasion and for one reason or another, people may be reluctant to have xrays done so I would like to take the time to explain to you why they are important. First of all, anyone under 13 years of age will not require a spinal xray unless I detect a serious problem with their spine such as a spinal curvature (scoliosis) or extreme forward head posture. Thirteen years of age is an excellent time to get a basic set of spinal xrays done. It is just ahead of the last major growth phase and if there are any problems, we can correct them right away so your child does not grow into them any further. We are exposed to radiation all the time. Radiation from the atmosphere, from the ground we stand on and the technology we interact with on a daily basis. This is what the Canadian Chiropractic Association says about spinal xrays; “… there is essentially no scientifically demonstrable risk to the given patient. And follow-up xrays to monitor response to treatment as required by some technique protocols, also provide negligible risk.” But, if you are dead set against having xrays done, there are a ton of chiropractors out there who will accept your case. I am just not one of them. So, let me explain why I require spinal xrays. First and foremost is your safety. Let’s say you have a fracture in one of your vertebrae for example, or an aneurysm in the large artery that runs down along the front of your spine. 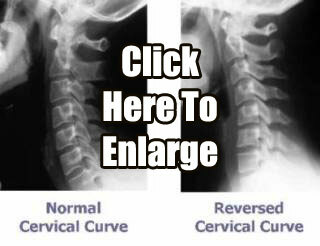 Both of these conditions can cause you to have spinal pain. Even though these things are rare, wouldn’t you want to know for sure before commencing treatment? Xrays are all about due diligence. Secondly, my main goal with you is to correct your posture. Your pain or symptoms if you have any are never the problem. They are a side-effect of postural distortions in your spine. Postural distortions are the problem. And the only way for me to correct you posture is to assess it with first with an xray because postural correction requires measured and specific chiropractic treatments. By the way, chiropractors who do not take xrays for the most part are not correcting your posture. Their main goal is pain relief only and there is nothing wrong with that, but this is what you and I will discuss during your free initial consultation. What it is exactly that you want from me. In our next video you will learn how you go about getting your xrays done so please be sure to watch. Video 4 – Where Do I Go For My X-rays? Many chiropractors have an xray machine in their office so they can take their own xrays. Other chiropractors choose to send their patients to a medical facility for their xrays and this is my preference for a couple of reasons. One is this will save you the expense of paying for the xrays yourself because OHIP will cover these costs for you. Secondly, a radiologist who is a doctor who specializes in xrays will look at them and then send me an xray report. This way we also get a medical opinion of your xrays so we cover all bases. And by the way, if you have a recent set of chiropractic xrays that I can use, there will be no reason for me to send you for new ones. The xray clinic that I use is in the Halton Family Health building at the corner of Walkers Line and Dundas Street which is 5 minutes from my office. They are open 7 days a week, they also have evening hours and no appointment is necessary so you can go at your convenience. You will need 3 things when you go for your xrays. One is the xray requisition which I will give you after your very first examination with me, second is your health card and the third thing you will need is 31 dollars to pay for the xray report. This is not covered by OHIP. Your xrays will be ready for you to take right away so remember to pick up the CD from the front desk before you leave. You need this for your next appointment with me which is called the ‘report of findings.’ The report of findings is where I am going to review the results for your very first examination with me, go over your xrays in detail and give you my best recommendations for care. In our next video you will learn more about the report of findings so please be sure to watch. After your very first chiropractic examination and after you have had your xrays done, your next visit with me is called the Report of Findings. The Report of Findings is where I will go through the results of your posture scan, the results of your first chiropractic examination, we will go through your xrays in great detail, I will let you know what options for care are available for you here in my office and I will also give you my very best recommendations for care. This appointment will take about 20 minutes and if there is another decision maker in your household, a spouse or a life partner, I strongly suggest that you bring them along with you to your Report of Findings. They will want to know what is going on with you, they will want to see your xrays and it is much easier for me to answer any questions they may have at this time. After we have completed your Report of Findings, you will be ready to get your first chiropractic adjustment with me. You will also have a brief meeting with my office manager. She will review our office policy with you as we have a couple of very easy rules for you to follow, she will explain how you can use your chiropractic benefits if you have any, what days and times are available for you to come in for your chiropractic care, what payment options are available for you and she will book a first chiropractic examination appointment for each member of your immediate family. This will be free of charge as long as it is scheduled within 7 days of your Report of Findings. I hope you have found this short video series to be helpful and may I remind you that there is a wealth of information available to you on this website that you can access at any time. It is all there to help you and your children learn how to live healthy lives and I very much look forward to meeting you in person. Dr Brad is available to do Posture Workshops at your place of employment, church or school. Learn how to prevent tech neck, forward head posture, abnormal spinal curves, hump back, sitting disease, obesity, drug-dependency, chronic pain syndromes, and improve immunity, fertility, heart health, performance in school, at work, playing sports and in the gym. For more information please call 905 335 5433 or email us through the contact form.